Lindy is a fast, exciting dance that goes to classic swing and big band music like Frank Sinatra, Big Bad Voodoo Daddy, and Ella Fitzgerald. If you dance East Coast Swing, Lindy will give your dancing a whole new world of possibilities! 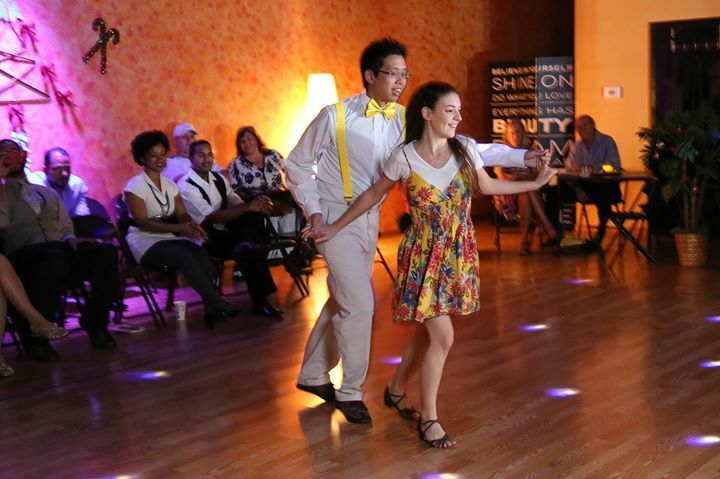 Lindy can easily be danced in combination with your East Coast steps to give you more variety, character, and style! Jump, Jive, & Wail! We now have THREE levels to choose from, every week at 8:15pm – Beginner if you’re brand new, Intermediate, or Advanced! In these progressive workshops you’ll build on what you learned each week throughout the month, so please try to attend all classes!